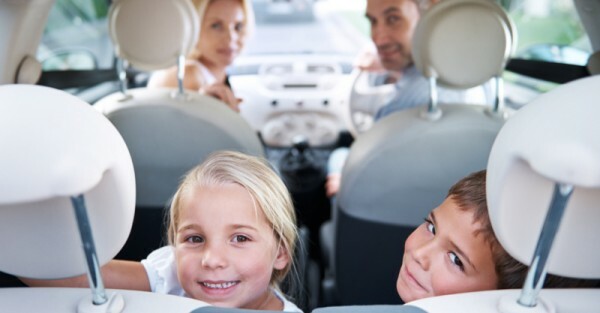 Most parents know the struggles that come with driving any longish distance with kids. Sometimes it works out. Other times, it results in a car-sick-yoghurt-spilt-all-over-the-back-seat-why-did-we-ever-decide-to-do-this kind of situation. 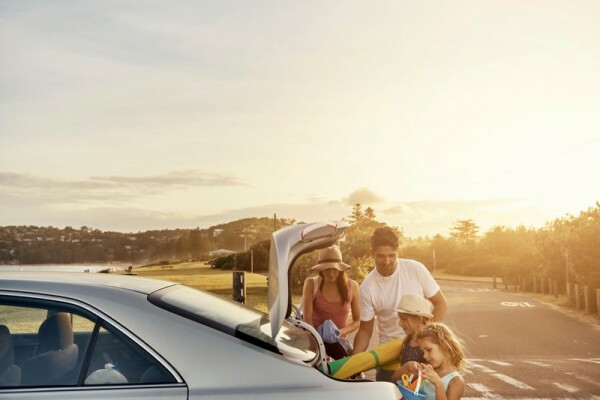 Here’s a road trip survival guide for everyone who’s ever wondered why they thought it would be a good idea to drive with children. Planning on escaping the madness these Easter holidays? Here is our tongue-in-cheek guide to ensuring everyone actually makes it to the destination alive and in one piece. Preferably at 3am. Hope the kids sleep in the car at least until the sun comes up. (They won’t.) Play Rock Paper Scissors with your partner to see who gets the first driving shift. 2. Fill up before you go. Petrol for the car. Coffee for you. So. Much. Coffee. 3. Make sure you have their favourite song on the playlist. Repeat for seven to nine hours. 4. Play CAR BINGO with your kids’ complaints. He’s looking out my window. 5. Set up a craft corner in the back of the car. 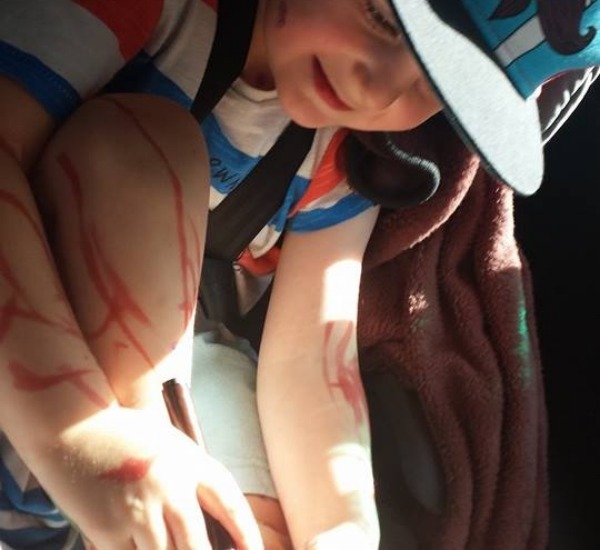 Ignore their desire to colour all over themselves instead of on the paper. What we actually mean is, throw two large blankets over the kids and hope for the best. 7. Sit in the back in between the kids to stop them bickering. There’s no shame in this. If you manage to remain in the front seat for longer than two hours, then you’re nailing it. Or its age-old variation – Sleeping Lions. Our money is on you. 9. Pack kid-friendly snacks that won’t spill. And then listen to your kids complain about how they want something else to eat. 10. Stop at every tourist attraction or funny sign and take photos. Lighthouses. Look outs with pretty views. Information centres. Large fruit statues. And any sign with a funny name of a town (Yorkey’s Knob, Humpybong, Mount Buggery and Tom Ugly to start). After a couple hours of this nonsense your kids will be so sick of the constant stopping that they will prefer to just keep driving. Or, that’s what we hope, at least. Because nothing complements the smell of a car filled with fast food and children quite like the smell of dog. 12. Give your children individual rubbish bags to keep their area clean. They will not use them. Every time they ask, “Where can I put this?”, you can repeat: “IN. YOUR. BAG.” Ignore the eye twitch you are developing as they throw broken crayons, empty cups and bits of food on the floor. 13. Use bribes to keep them happy. Place a bowl of lollies on the dashboard. Every time the kids complain, take a lolly away (or eat it yourself). Tell them they can split what’s left at the end of the trip. 14. Pack car sickness tablets. Surviving a road trip with car full of clothing, camping gear, food and cranky children is possible. Surviving a road trip with car full of clothing, camping gear, food and cranky children covered with vomit is impossible. 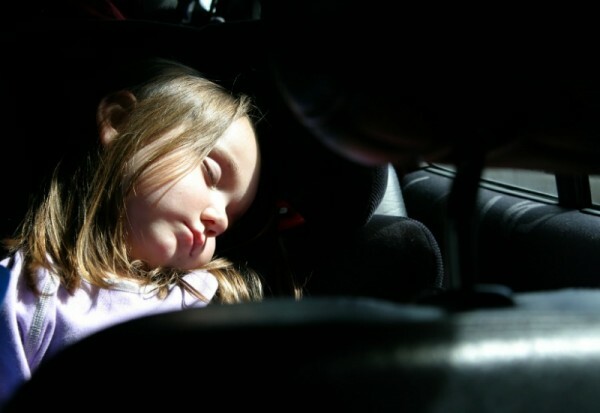 Side note: it’s quite possible that car sickness tablets may make your children quite sleepy. 15. 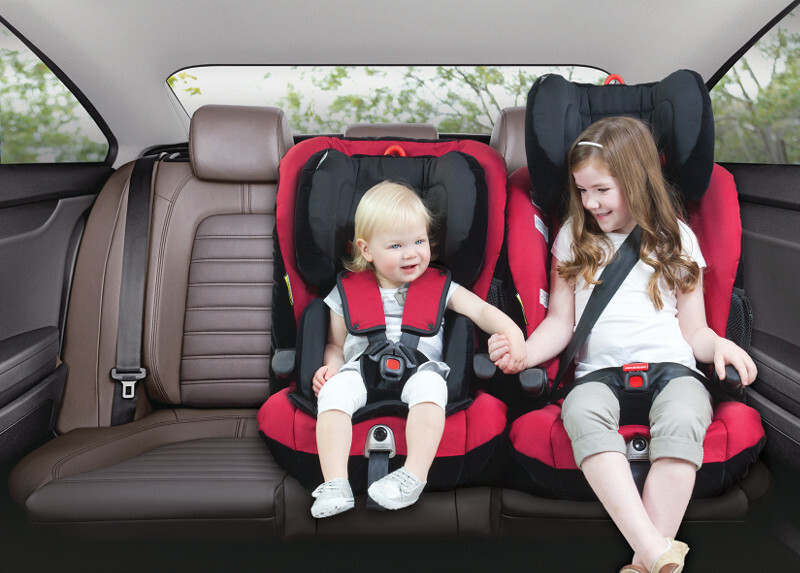 Make sure that everyone is in the right car restraint for their age. You can’t control lots of what happens on a long car drive. Kids will whinge. They might get sick. You can’t keep everyone entertained, all the time. But you can keep them safe, so make sure you have a great quality car seat like the Britax Platinum PRO-SICT – it’s convertible and it’s their most advanced car seat yet. 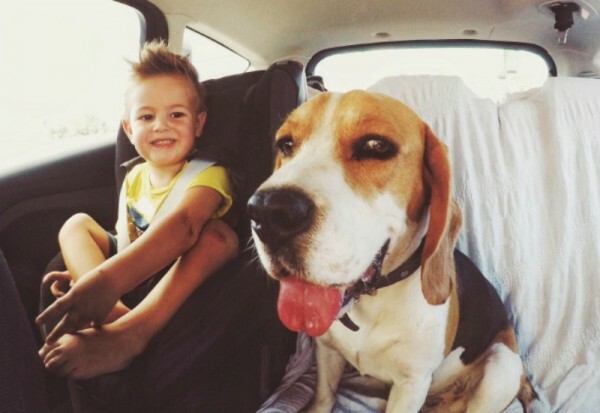 Some of those tips really will help you survive your trip (especially the car seat one)! But we’re not guaranteeing anything. After all, it’s a road trip – anything can happen. Don’t forget the lollies.